It is a big power Roll-Flex LED light.This new Roll-Flex LED light is developed with the latest LED technology to perform rollable and flexible movement with thickness of only 10mm. The RX-36TDX Roll-Flex light body size is 120*46cm. Bi-Color Flexible Lighting,Color Temperature is 3000-5600k. 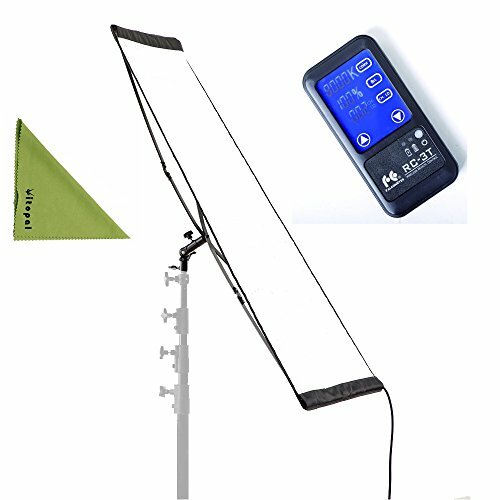 The LED light 360 Degree flexible and rollable,waterproof, easy to carry. View More In Light Boxes. If you have any questions about this product by Falcon Eyes, contact us by completing and submitting the form below. If you are looking for a specif part number, please include it with your message.